With technology covering almost everything under its umbrella, nearly all the business processes have gone digital. Businesses are going digital for even their Human Resource process. There are many products out in the market to carry out such tasks, one of them is Lever. 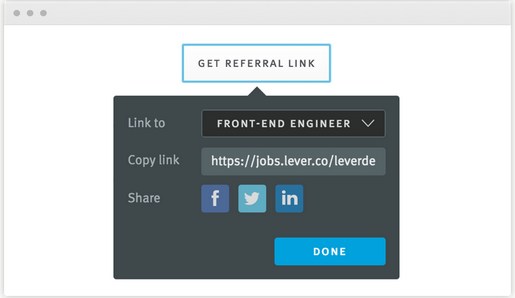 Lever pulls your entire recruitment process at one place. 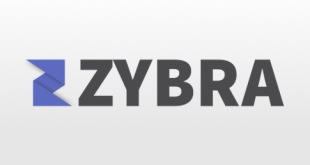 With an efficient application tracking system, it is becoming one of the preferred solutions for the tasks such as delivering custom jobs sites, Sourcing and referrals, two-way email sync, scheduling things, managing interviews, and feedback and also generating reports. The product does not display a pricing policy presently and may be in Beta version. The tool lets you create a web page that feels like the rest of your website. 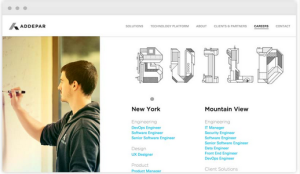 You can build customized application forms that applicants love to use. The site is also mobile responsive so that candidates can apply on the go. The tool also follows a simple posting method. Sourcing, collecting data about candidates, filtering them among the rest, are some of the tasks that consume a lot of energy and time if performed manually. Lever solves all of these issues with its fantastic feature of pulling in information about people. The tool also has Chrome extensions to build your hiring culture. It also generates reports on every source by tracking the value of your team’s work helping you optimize for what’s more efficient. You can empower your team by bringing in references. As you and your team only know what the team works in and the structure of your business, you can quickly identify the talent out in the market that can be pulled in to take your business forward on the way to success. 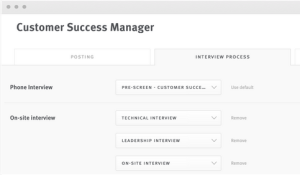 The tool offers capabilities to generate employee referrals, spreading and sharing of job postings and openings and generating relevant reports for the same. 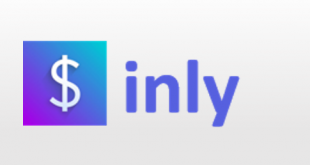 The application syncs easily with your email inbox so that you can review resumes, give feedbacks and can also refer candidates right within your email inbox with a two-way sync. 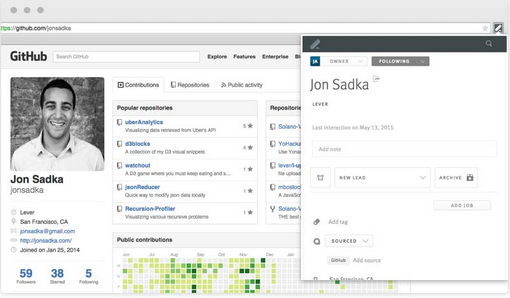 You can also send notes straight to Slack. Lever can help you to plan out meetings and interviews for the candidates. 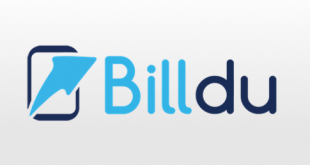 The application integrates seamlessly with Google Calendar and Outlook to track tasks, check availability, book conference rooms and choose interviewers right inside it using the built-in multiple time-zone features. 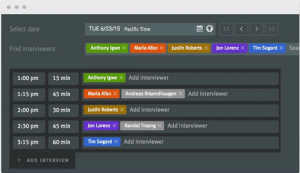 The users can derive actionable data and information for conducting interviews. The tool is an efficient support system for the task of doing interviews and getting feedback, thus making the entire process automated. 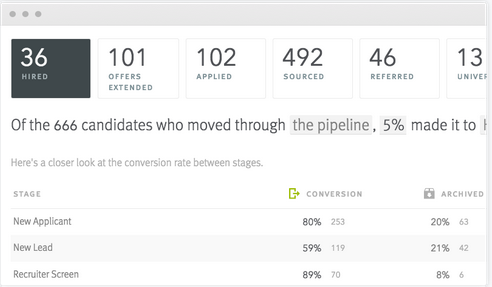 Lever allows you to track all your recruiting metrics. You can easily access all the details you need such as conversion rates, interview calibration and much more. 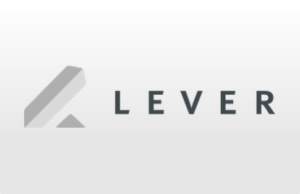 Lever also allows you to customize everything using smart filters to help you keep a track on every aspect of your business. The reports can be extracted as excel sheets and via API integrations. 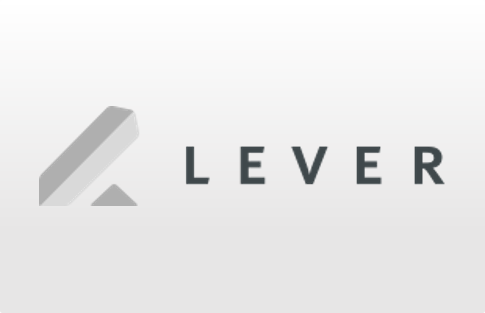 Mobile Accessibility is not a feature on Lever at the current stage. It is not available to use on Android and iOS platforms but the user can use it via the mobile web. The tool integrates seamlessly with Slack, Gmail, Google Calendar, and Outlook. The tool despite in Beta version offers substantial support to its users. The user can gain the knowledge from channels such as Blogs, YouTube, Twitter and LinkedIn. Along with this, the tool also has a Help Centre and a separate section for product status giving information about the state of the application. Also, the product offers email and phone support. Quick data analysis and report generation feature. Mobile accessibility makes candidates to apply for an opening using their mobile phones and tablets. 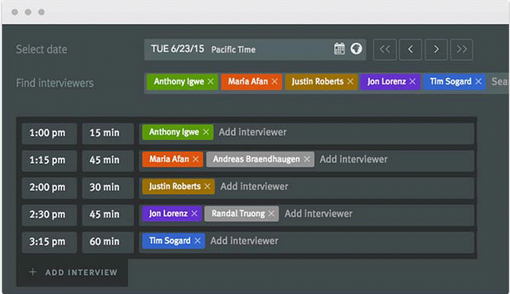 Seamlessly syncs with social and email channels making it easy to schedule tasks. Strong access control keeps confidential data safe. An online chat among the colleagues may help to plan things better. Multiple time zone features help to schedule better. For more details, please visit Lever website.